The Cassopolis RoboRangers are a student-led, self-funded robotics team. We are proud to represent our wonderful small town community. Our team consists of 30 hard working high school students who have put in a collective 2,500 hours of work this season. 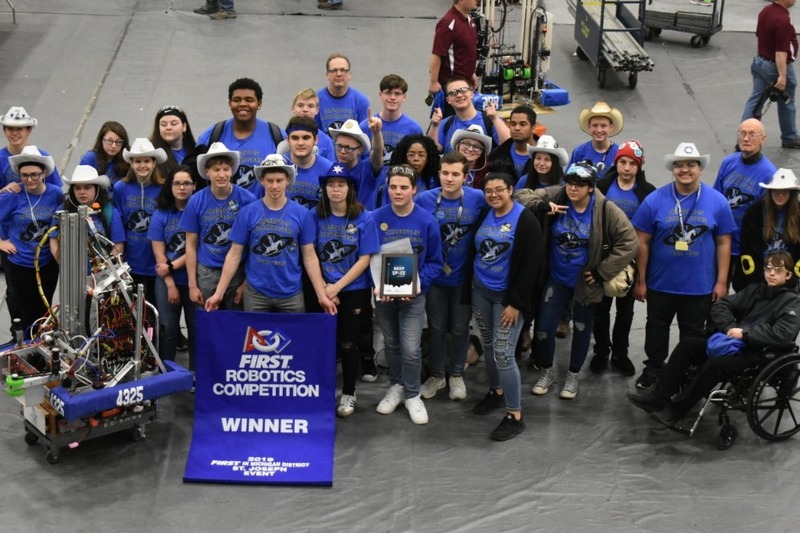 Our 2019 season has been an amazing one already with us winning our first District Championship, then placing 3rd in our second District event and winning two awards for robot design. With success comes extra costs. We have qualified for the State Championship in Saginaw Michigan and plan to take the whole team to this event. We feel confident that we are in a good place to qualify for the World Championship which will be held in Detroit this year. Hello all, we have made great progress towards our goal! Counting donations on here and outside donors, we have raised nearly $3,000 since we learned we qualified for Worlds! We still need to raise more in order to pay for hotels and travel expenses, but the community support has been amazing! Please continue to spread the word about our efforts, it really does mean the World to us! We are excited to share the news that we have qualified for the World Championship in Detroit, Michigan! Of course, this means extra costs. Registration is $5,000 and is due by Tuesday, 4/16. We are working hard to secure the funds for our kids to have this amazing experience. Thank you for your continued support of our team and please share the word about our fundraising efforts! Hello everyone! We have had a great start to our fundraising efforts! Multiple sponsors have committed to donating additional funds and we have had a couple new sponsors who have given outside of Go Fund Me. If you add those funds to the money raised on Go Fund Me, we have raised about $2,000 so far! We are so grateful! We are still working on our end to raise the full amount, please continue to share our campaign and thank you again for your support!